NWP-KSU will custom design professional development packages based on your organization's goals and needs. 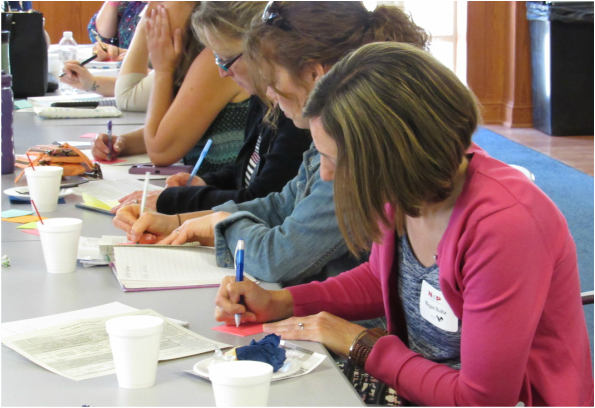 These sessions help teachers work toward student improvement in writing and reading across the content areas, which leads to student success on state-required tests. We specifically have in-services designed to help teachers meet Ohio's Learning Standards. In operation since 1997, NWP-KSU in-service programs have consistently received excellent ratings and results in classrooms and school districts throughout Ohio. We can provide whole-school, department and/or grade-level sessions, as well as classroom demos and book studies. Thirty teachers is the maximum for an in-service. Mileage may be an additional charge, depending on distance covered for the duration of the in-service. Contact us to schedule an in-service program.